"That the men who maintained and fought with the boats are brave is a given. I hope I can preserve their contributions so that future warriors can learn from them. If you don't know your history, you don't know why your tactics and equipment are the way they are. Biography : Robert Stoner Bob joined the Naval Reserve when he was a high school senior in 1964. He took his Boot Camp at Great Lakes, IL that summer before entering college under the delayed entry program in the fall. This program meant that for each year of active duty deferment, a year was tacked onto the original enlistment (therefore, his first enlistment was 10 years instead of six). During his college years, he advanced in rating until he was a Gunner’s Mate (Guns) Second Class (GMG2) at the time of his graduation in January of 1969. He began his two-year active duty assignment in February aboard the USS Nueces (APB-40) attached to the Mobile Riverine Force (CTF-117) in the Mekong River delta of Viet Nam. While attached to the Nueces, he participated in various combat actions against the VC forces around its base at Dong Tam. 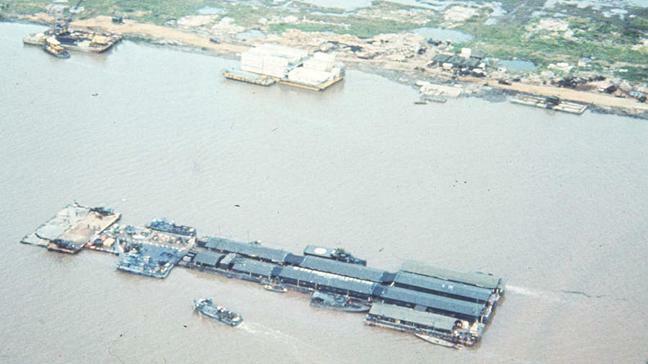 The MRF was decommissioned in October of 1969 and the Nueces was brought back for mothballing at Long Beach Naval Ship Yard. He received orders to Boat Support Unit ONE in December of 1969, and after 20 day’s leave, reported aboard in January of 1970. While at BSU 1, he was stationed at the armory where he became familiar with the many weapons of the unit. During the February through April period he also received training on PTF-13 at Coronado, CA; the GAU-2B/A Mini-gun at NAF Imperial Beach, CA; and Combat Medical School at Camp Pendelton, CA. He was posted to Mobile Support Team TWO, Detachment “Charlie” and deployed to the SEA FLOAT/SOLID ANCHOR operation at Nam Can, RVN, in May 1970 until November. The detachment rotated home at the end of November and arrived at North Island Naval Air Station on 5 December 1970. He was released from active duty on 4 February 1971. 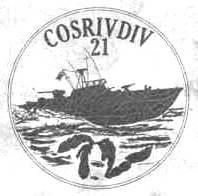 He was advanced to GMG1 upon reporting back to his Reserve Center and in late 1972 applied (and was accepted) to the new Coastal River Division TWENTY ONE that was forming at Great Lakes, IL. 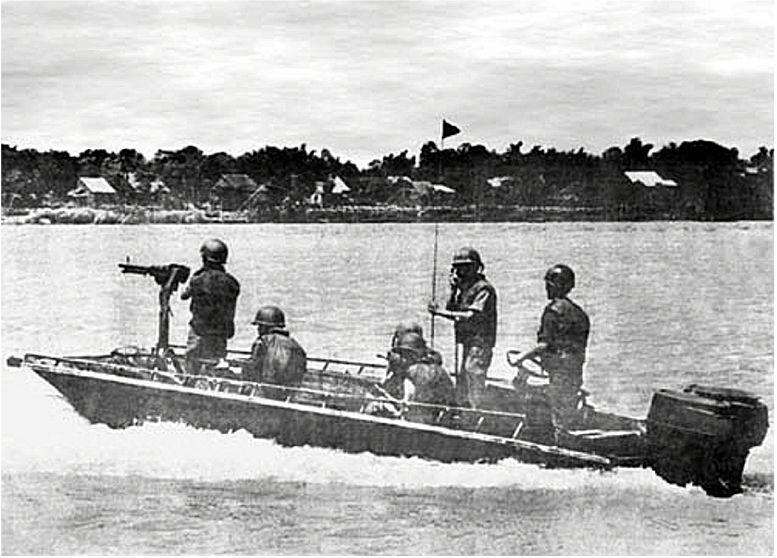 The new unit received two fast patrol boats (PTF) in 1973, and one PTF and three patrol gunboats (PG) in 1974. During his time with CRD 21, he was advanced to GMGC and served aboard all three PTF’s. His duties included: leading Gunner’s Mate, leading petty officer, Chief of the Boat, and Officer of the Deck (under instruction). He earned the Surface Warfare badge for service with CRD 21. After the decommissioning of CRD 21 on 30 June 1976, he returned to the Naval Reserve Center at Great Lakes where he served with various units until assignment to the NR detachment of Mobile Technical Unit TWO (the parent command is home-based at Norfolk, VA). During his ten-year tenure with the Great Lakes detachment of MOTU 2, he was advanced to GMCS and later to GMCM. During drill weekends he was an instructor at the Gunnery School on the Naval Base and eventually became senior instructor there. He performed his active duty for training at the parent command in Norfolk, VA. Collateral duties while attached to MOTU 2 included unit Command Master Chief and later NR Center CMC. He retired from the Naval Reserve on 30 September 1987. In his civilian employment, he has worked in the aerospace industry as a technical writer since 1973. 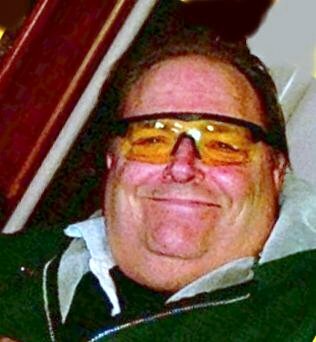 Robert H. Stoner, 70, of Rockford, passed away on March 1, 2017. He was born on September 11, 1946 in Rockford, Illinois, the son of Harold R. and Agnes (Berg) Stoner. Bob was a technical writer for Woodward and Sundstrand. He served in the United States Navy. He loved scuba diving, international travel and enjoyed music. 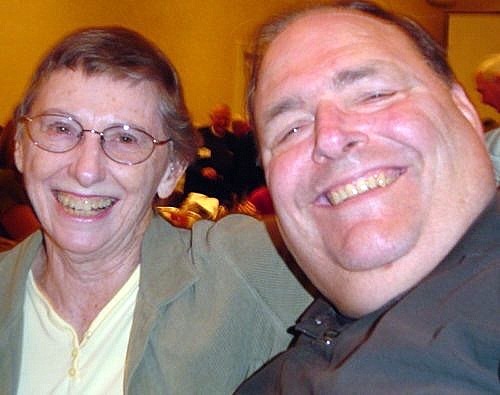 Survivors include his love and close companion for more than 20 years, Joan Whitmer , cousins, and many local and military friends. Documents from our resident author and story teller. GMCM Robert Stoner (Ret) is our resident author and story teller. He has amassed a great collection of photos, drawings and technical material that he shares in his different articles. This is a summary of his works. Sea Float/Solid Anchor were joint US/ Vietnamese attempts to inject an allied presence into An Xuyen Province, 175 miles southwest of Saigon. 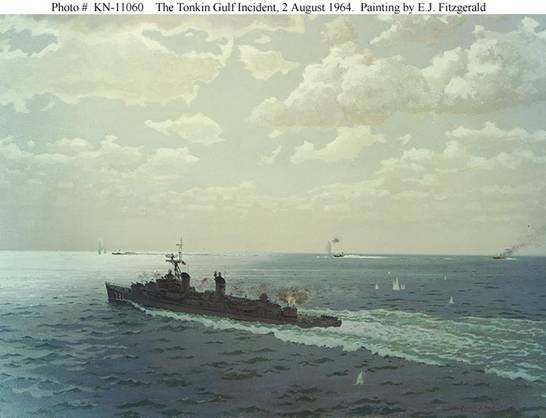 More Here U.S. Combatants – Gulf of Tonkin Incident A summary of US and Soviet vessels involved in the now famous incidents in the Gulf. Naval Special Warfare: Small Combatant Craft Development History, an Informal History This is a rare collection of photos and description of craft from the US and No. Vietnamese. . . . Send comments and photos to Dan Withers via email to be added here. (03-09-2017) From GMCM Jim Gray (SWCC) Ret. My Friend Bob Stoner Passed this World March 1st.. and I will Miss him deeply. We first met in the late Late 1970s via snail mail and of course it was over a subject of Combatant Craft. We had so much in common both Gunnersmates, and served in NSW Boat Units Both 0812 NEC Range Masters.. we just clicked.. and we Both retired as GMCM. But Bob taught me so much and encouraged me. He helped me develop a eye for detail in subjects and how to research. I would deploy and fill Bob in on updates in the Special Boat Units. We Both saw the Need to educate the Newer NSW Boatguys to know their History. Once when I returned from the Persian Gulf in 1988 Bob and Joan were in the LA area and came to my house for a visit. In Person. Bob is a Happy Man with a Infectiuos smile. poor Joan I think was lost as we poured over details of Boats weapons and tactics for hours and we conspired that we need to write a book about NSW Boat History. Tt was a great Visit. So I tried and failed 3 times rejected by Publishers saying their were already books out about SEALs and Brown Water Navy. Our Mutual Friend Dan Withers came to our rescue and gave us the Venue of Warboats.org. Started in 2006, now Warboats.org is the Historical site and 10 times better than any Book I could have written. Bob Stoner contributions are many and each article a wealth of knowledge. The fact that he was a Tech Writer made his article a wealth of Detail rarely found. I encourage you all to take time to read his articles on Warboats.Org. Bob's great knowledge was not just limited NSW Boats and Warboats.Org it was much broader covering many other subjects in Naval Warfare, Tactics, Weapons, Current events and craft development. But Bob's Failing Health concerned us all and then on March 1st He passed from this world. Bob's Long Deployment on Earth is Over. He has Rotated Home.. Fair Winds and Smooth Sailing Bob.. We have The Watch. Share your stories in the Guest Book. If you want to share any "Bob" stories with warboats.org readers add them on this Guest Book. Use the 'Post New Message" block below to add your message. Sorry no photos here.